Bryan studied Biochemistry in college but found himself working in construction. 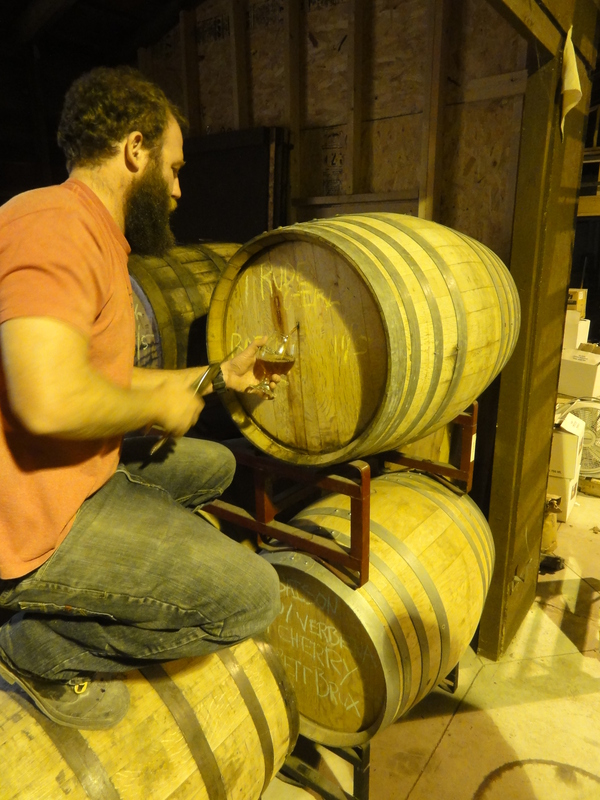 He turned to homebrewing in the garage as an outlet to satisfy his inner science geek and really ramped up the activity after he and his entire construction crew were laid off during the recession. Motivated by positive feedback and the opportunity to put all he had learned about management and business from the construction gig as well as the science from schooling, Bryan began putting together a business plan. After quite a while looking for investors, he didn’t feel quite comfortable with the offers being brought to the table and decided to scrap the ‘Cadillac plan’ for the ‘Chevette plan’. 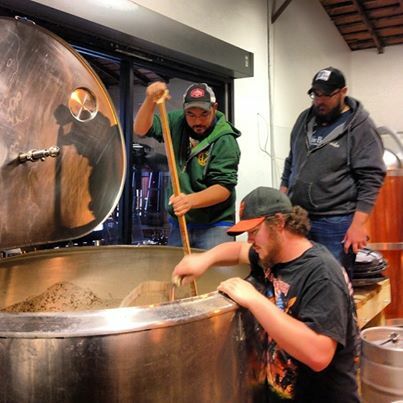 He put himself on the line by taking out some low interest loans and built the whole brewery up from re-purposed and used equipment that he found on Craig’s List. By chance, he just happened across a for sale sign in front of the building that now houses the brewery. The facility is 120 years old and used to be a cooperage (a business that made oak barrels as well as oak baskets). This is where the oak portion of the brewery name originated. Burley comes from a colonial name for the small hill in present day Berlin. There was a Burley Plantation operating in the area in the 1600’s and a Burley Inn feeding and lubricating the gullets of travelers in the 1800’s. 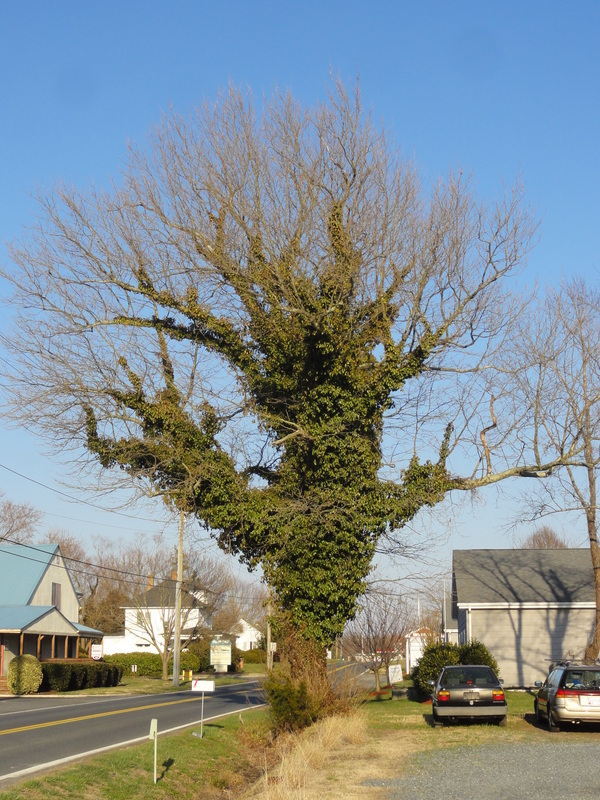 The company logo is a massive oak tree which – a customer had to point out – bears a striking resemblance to a tree in front of the brewery. 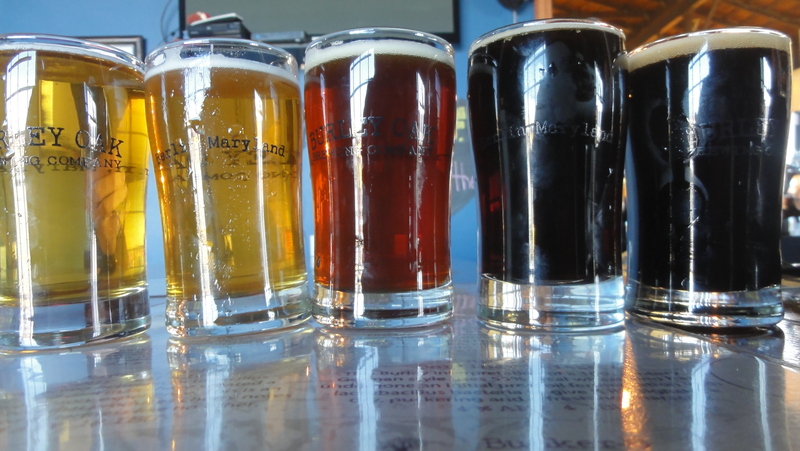 After tons of hard work, passion, and dedication, the brewery was ready for business and opened on August 26, 2011. Bryan explained that they have celebrated their anniversary the third week in August for the previous two years, however, have not had much luck with the weather. The first year there was a hurricane in which nearby Ocean City was evacuated and this past year Berlin received 18 inches of rain in a matter of 10 hours. 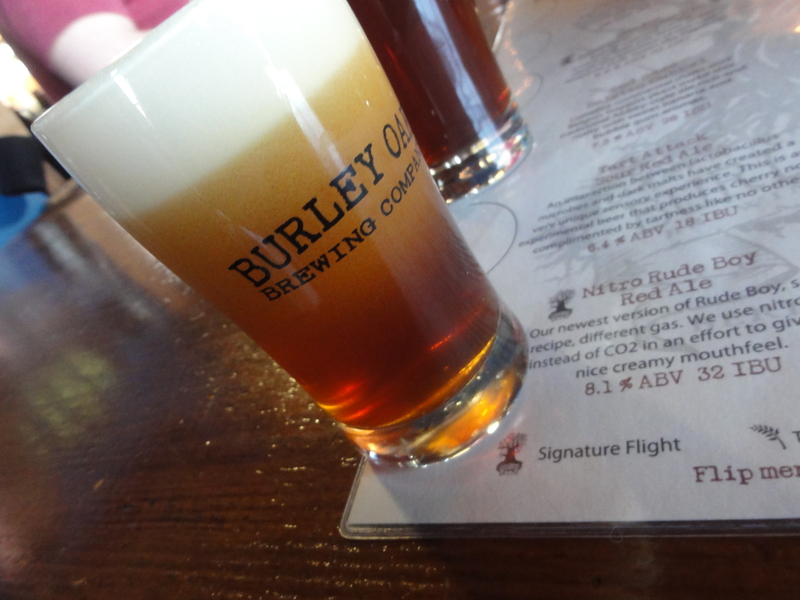 The brewery was flooded but that did not stop Burley Oak from throwing one hell of a party. 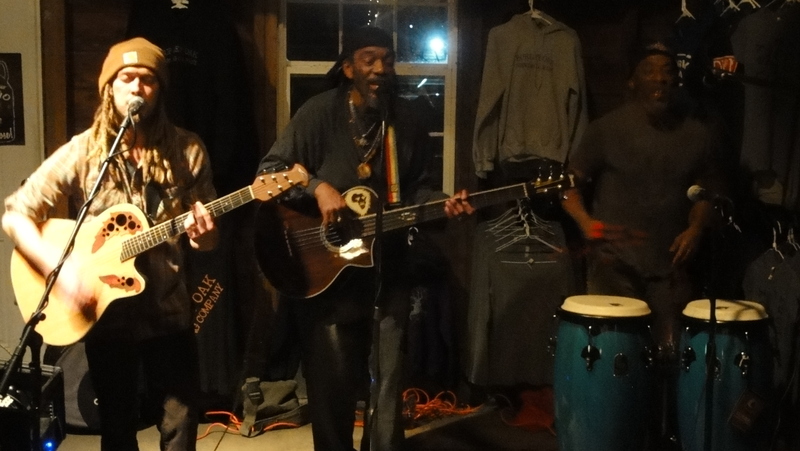 The Monday of our visit was no different (sans the flooding) as it seemed the whole town was in attendance for a fundraiser for the local humane society featuring raffles, auctions, local guest bartenders and live reggae music courtesy of Kaleb Brown. 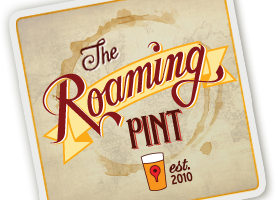 A couple times a month they will host events such as this where bartenders come in from other businesses and get to choose the charity that receives 10% of the night’s taproom sales, profits from the raffles and auctions, and typically even the bartender’s tips. In 2013 they raised over $26,000 for 11 different charities. 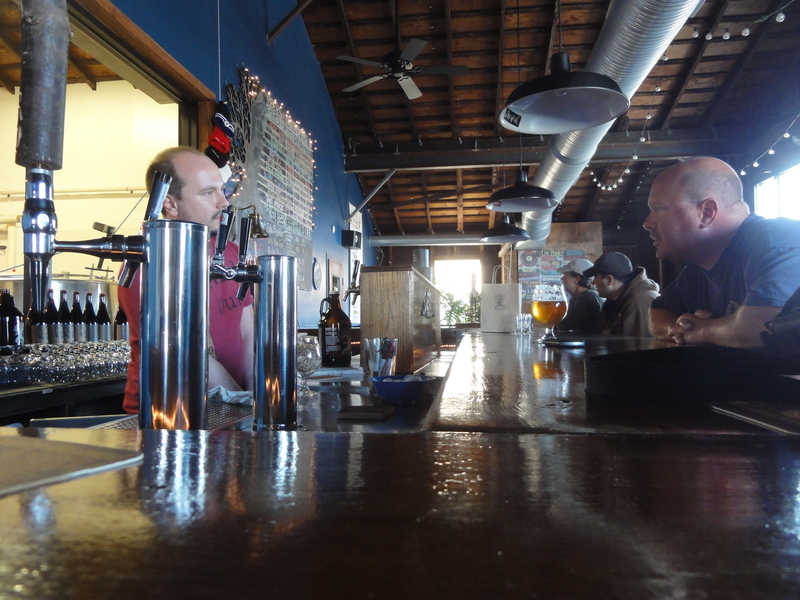 Tuesdays are bring your own vinyl night, Wednesdays are game night, Thursdays feature new casks, and Friday and Saturday nights patrons can enjoy live music. 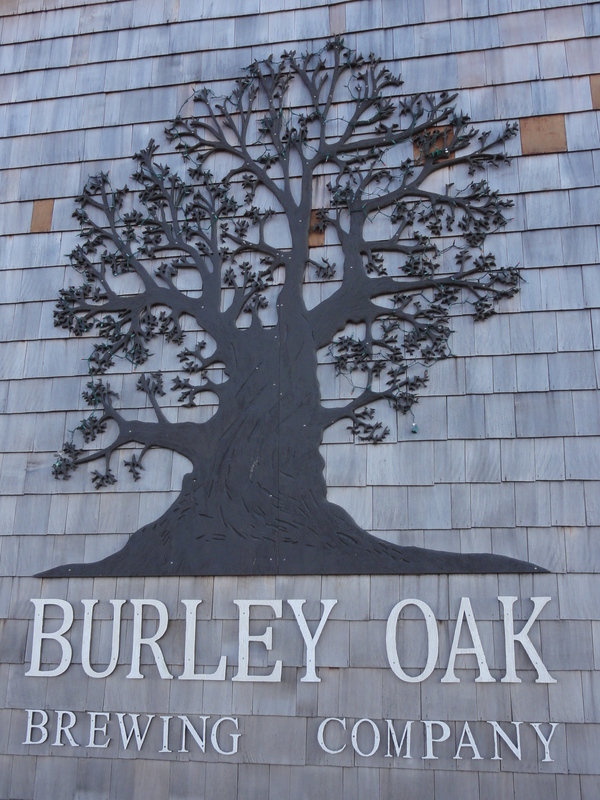 No matter what day of the week, a visit to the Burley Oak is guaranteed to offer great beers and a good time. 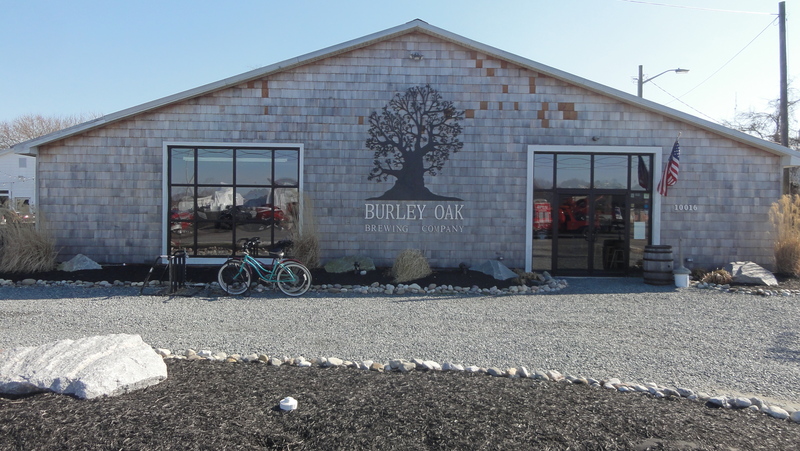 At Burley Oak, the crew – consisting of Bryan, Justin Sherman, Aaron Miller, Andrew Loveless, and Dave Musacchio – keep themselves busy with a large rotation of beers and Bryan explained that they have pretty bad brewing ADD. 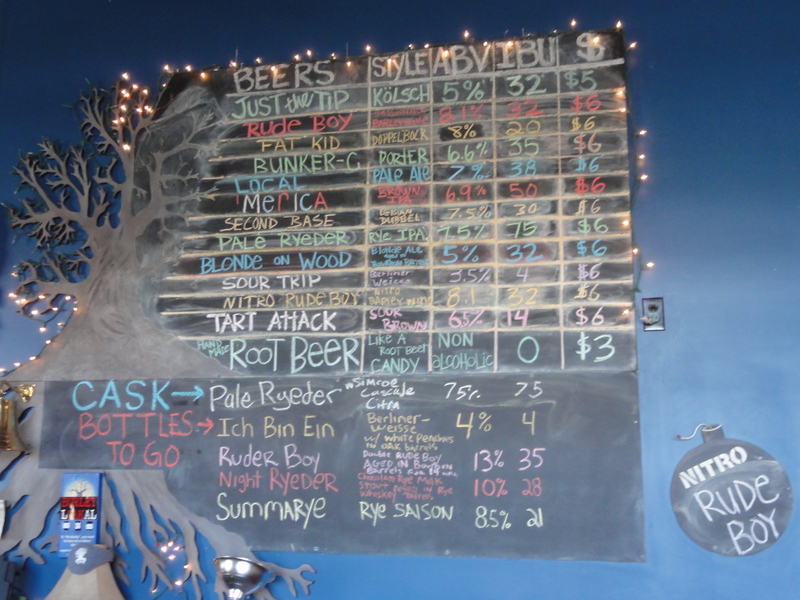 Year-round offerings include Just The Tip Kolsch, Rude Boy Red Ale, Pale Ryeder Rye Double IPA, and they would like to have their Sour Trip Berliner Weiss on at all times – fitting since they are in Berlin – which can be enjoyed with Lemongrass or Raspberry syrup. Other popular beers that were on tap during our visit included ‘Merica Brown Ale (we were invited to come back the following morning to help mash in for this brew and graciously accepted), Local Pale Ale (brewed with local ingredients, of which I will expand on later), Bunker-C Robust Porter, Fat Kid Doppelbock, Tart Attack Sour Ale, and Blonde On Wood barrel aged blonde ale. Bryan also shared that sours are his passion and has tons of barrels in house full of different beers souring with Lacto, Pedio, and Brett. We consider ourselves fortunate to have been able to try a couple samples including a Saison with lemon verbena leaves and sour cherries that has been in the barrel for 1 ½ years and is finished with Brett Brux and a different version of Rude Boy called Rude Girl that has been fermented with a Belgian yeast. 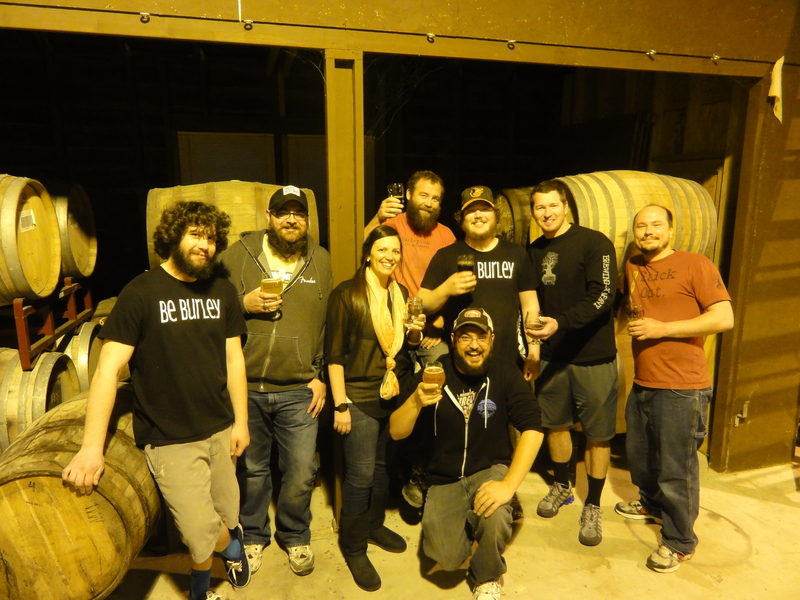 The brewery’s 100th batch was honored with a big barleywine aged in Maker’s Mark barrels called Ruder Boy. Some of the special releases and barrel-aged beers are bottled in 750mL format and can be found in limited quantities. Examples include the aforementioned Ruder Boy, Ich Bin Ein Quadrupel Fermented Berliner Weise barrel aged in oak with white peaches, Summarye Rye Saison, and Night Ryeder Imperial Rye Milk Stout aged in whiskey barrels. There are not any current plans of massive expansion, though around 1,200 bbl were brewed last year with this coming year projected around 2,000 bbl. They would like to remain a local brewery and don’t plan to get any bigger than a 15 bbl brewhouse with accompanying 30bbl fermenters. Currently the plan is to just try to keep up with the demand and take good care of the accounts in Maryland and DC, perhaps take on the Delaware market. 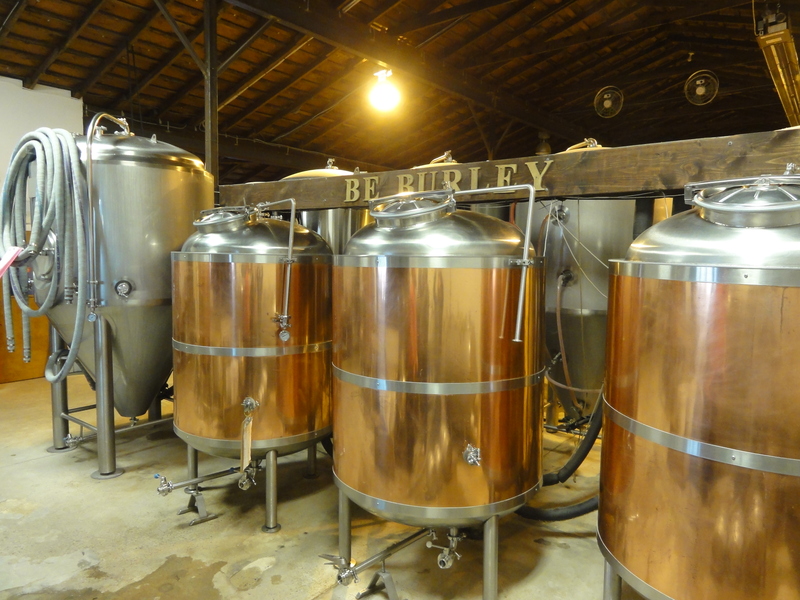 Bryan and the Burley Oak gang are also working with local farmers to source Eastern Shore grown hops and grains. Farmer and soil scientist, Brooks Clayville, contacted Bryan in 2011 and the two have been working with scientists at the University of Maryland and University of Oregon to grow barley and rye for brewing – after a couple years of trial and error they were able to grow a solid crop (as confirmed by testing at the University of Vermont) which was used in the Loakal Pale Ale and will continue to be utilized in the Home Grown Ales series. In addition, we learned that Bryan has been taking some classes and would like to start doing in house malting. They are also working with another farmer to grow local hops, right now about 80% of which is Cascade. The project is now in its 4th year. 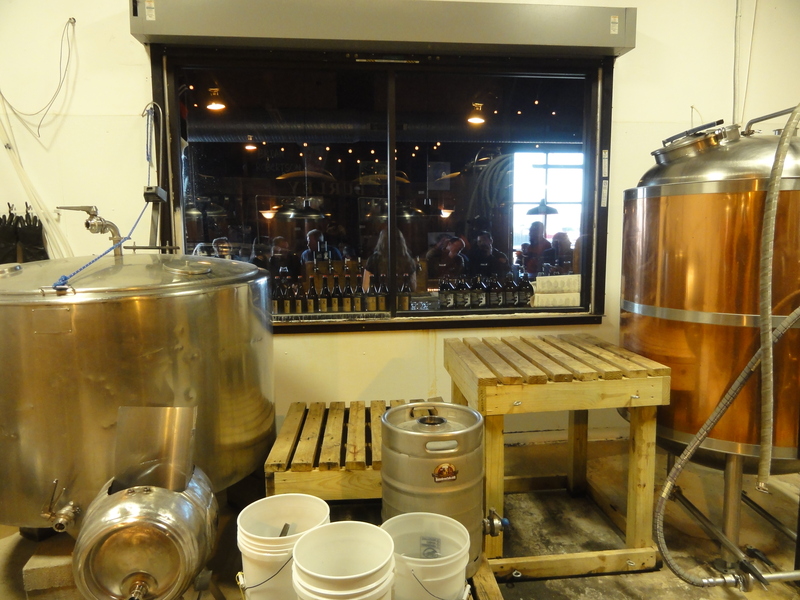 Ideally, Bryan shared that he would like to be able to grow these farming projects large enough to source ingredients to other breweries in the area, a benefit to everyone involved. 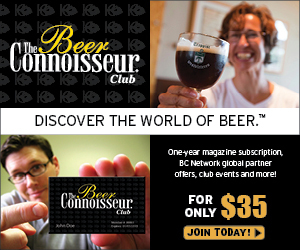 Brewery tours are offered every Saturday at 3pm at no cost. As stated previously, there are activities going on nearly every day of the week. Burley Oak is open Mon-Wed 11am-11pm, Thurs-Sat 11am-2am, and Sun 12pm-9pm so definitely stop by for a drink and a good time. A huge thank you to Bryan and the rest of the Burley Oak staff for showing us such a great time during our visit and especially for giving us the opportunity to come back the next morning to mash in for ‘Merica!